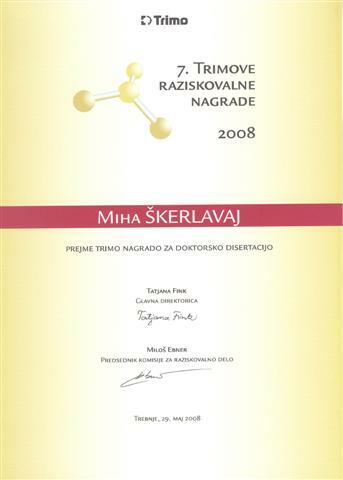 Posted by Miha Škerlavaj in awards, journal, organizational culture, organizational learning. 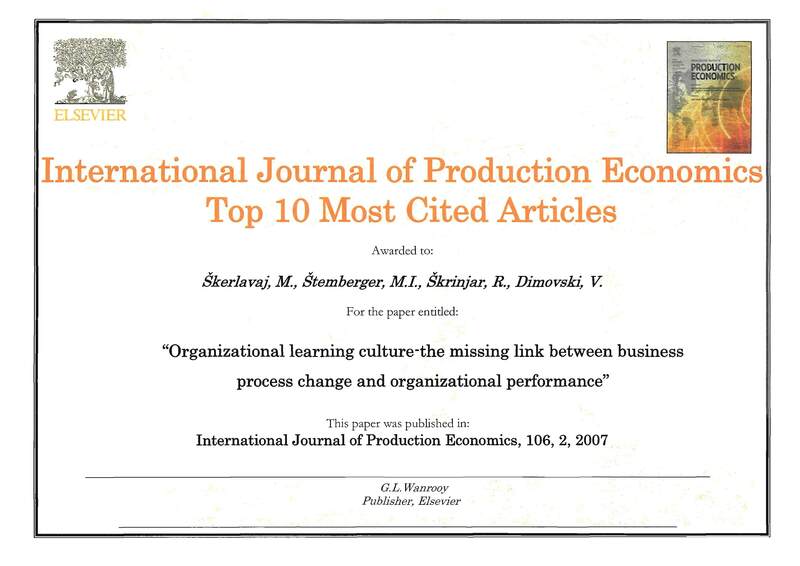 I am both proud and happy to announce that the paper Škerlavaj, M., Štemberger, M.I., Škrinjar, R., & Dimovski, V. (2007): Organizational learning culture—the missing link between business process change and organizational performance, International Journal of Production Economics, 106(2):346-367 was awarded as Top 10 most cited papers in the journal between year 2007 and 2010! Another great confirmation and inducement for future work. Fresh from the oven, a book chapter Škerlavaj, M., Dimovski, V. (2009): Organizational Learning and Performance in Two National Cultures: A Multi-group Structural Equation Modeling Approach was published in a book King, W. (2009): Organizational Learning and Knowledge Management, Annals of Information Systems Series, Springer. This chapter examines the impact of organizational learning on organizational performance in two countries. Using a multi-group structural equation modeling approach on data from 203 Slovenian and 202 Croatian companies, it tests the impact of the organizational learning process on financial and non-financial performance (NFP). The results show consistent findings between both countries under investigation (which vary only in terms of effect strength). First, the organizational learning process connects information processing with behavioral and cognitive changes. Second, organizational learning has a very strong direct impact on NFP (reflecting performance from employee, supplier, and customer points of view). Third, the effect of organizational learning on financial performance (measured in terms of return on assets and value added per employee) is also positive and strong, but indirect and exhibited through NFP. Finally, no direct effect on financial performance has been observed in any of the two cases. This paper advances the theory and practice of organizational learning by uncovering one specific aspect of the context in which organizational learning processes occur. It is the first of its kind to control for the contextual variables of national culture and economic development regarding the organizational learning – performance link.